I initially contacted Belinda Johnson for some one-on-one swim coaching as I wanted to complete a swim leg in a sprint triathlon. We had three months of dedicated training, twice a week which consisted mostly of stroke correction and ocean swimming techniques. By the end of this training block I completed my first ever ocean swim in a team at the Trial Bay sprint triathlon. After completing my first triathlon race I was curious about the other two disciplines of triathlon; riding and running. I was keen to complete all three. Having never ridden a bike and with limited running experience, we had a bit of work to do. Belinda guided me through the purchase of my road bike, cleats and a timing watch and I opted for further one-on-one training with Belinda in conjunction with a few group sessions. My goal was to not only learn how to ride and run but to become competitive and complete the same sprint triathlon in full by the following year. I completed the race (and several others along the way) with Belinda supporting and encouraging me all the way. I now attend group sessions with the other SMART triathletes including the KICKR and Pilates classes, brick sessions, ocean swimming and of course the swim squad where it all began for me. I still continue with my weekly personal coaching sessions which I rotate across the three disciplines. I have thoroughly enjoyed my time working with Belinda. Her amazing wealth of knowledge of all three disciplines of triathlon coupled with her professional and selfless attitude toward her athletes is one in a million. 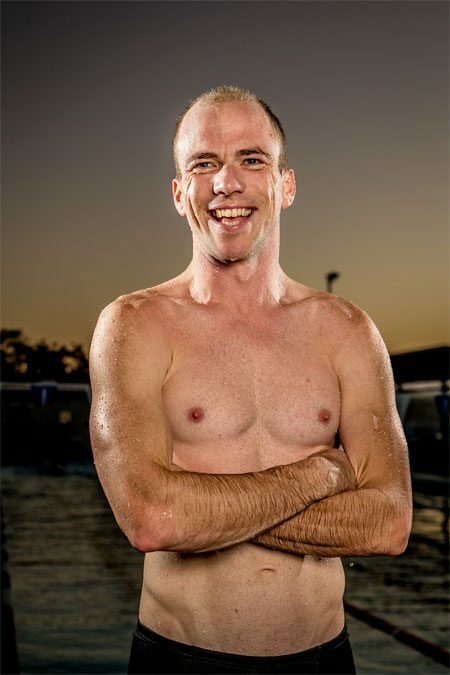 My husband and children have since also enjoyed working with both Belinda and Ben Johnson in group sessions, one-on-one sessions and the SMART kid’s triathlon clinics run in the school holidays. 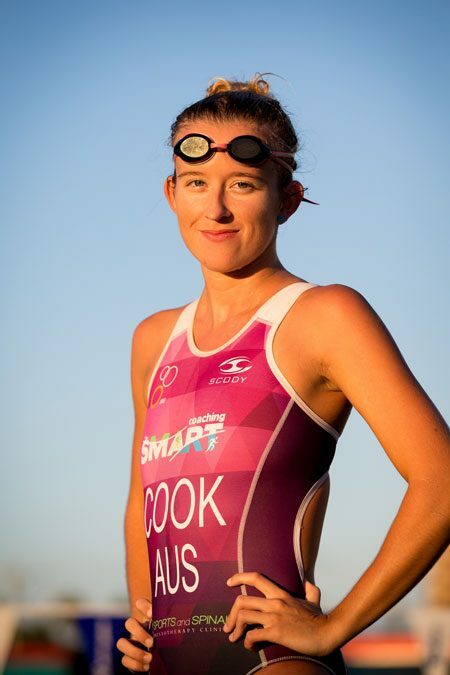 As a professional triathlete and full-time university student, Ben and Belinda Johnson from SMART Coaching have helped me achieve all the goals I have set for myself in the last two years. The group training environment that Ben and Belinda have created is second to none. The amount of support and encouragement available not only from them but from everyone who is a part of the SMART Coaching team is exceptional. I believe this is one of the reasons that each and every one of the SMART Coaching athletes has improved incredibly in the last two to three years. Each program is tailored specifically to the individual and a wide range of sessions are available weekly. These include Pilates, swim squads, indoor bike trainer sessions, run groups and weekend training camps. One of the best things about Ben and Belinda is that they are very invested in every one of their athletes who range from people are new to triathlon, use training as a hobby, like the social aspect of group training or are athletes who want to improve and achieve results at an elite level in swimming, cycling, running or triathlon. 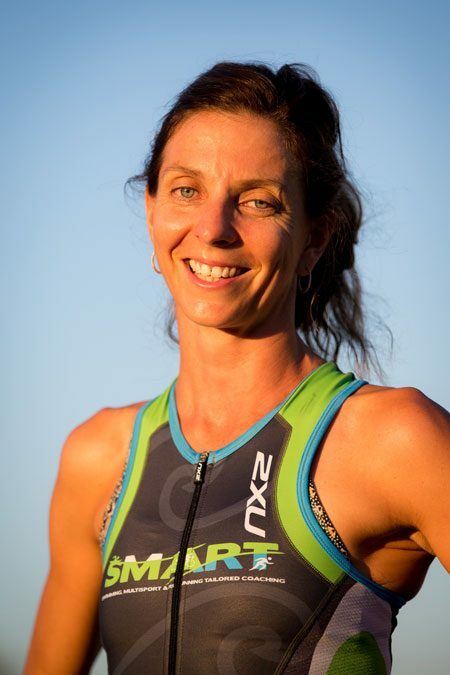 I cannot fault SMART Coaching’s approach to helping me further my triathlon career and I put the results I have achieved, including gaining my professional license down to the hard work, commitment and unwavering support of both Ben and Belinda. I’ve been involved in triathlon for a number of years now. I started training with SMART Coaching in 2016 and I went from being a mid-pack competitor to challenging for the podium in my age group which was ultimately my goal. I was able to achieve this in under 12 months. Ben and Belinda have been fantastic at providing a customised training program that is tailored for me. They have considered my goals and provided me with a flexible approach to my training that allows me to balance my family life as well as a very busy small business. Most importantly, it allows me to train with a fantastic group of people, which makes the training and races even more enjoyable. 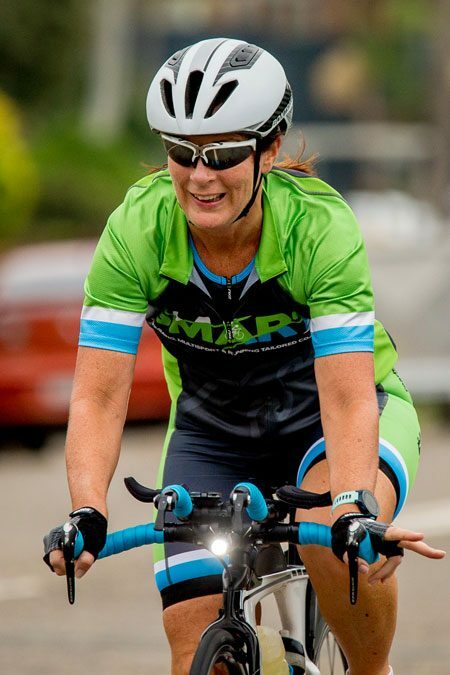 I joined the SMART Coaching team in 2015 seeking some training guidance for the bike leg in a Half Ironman team and potentially stepping up from sprint distance triathlons. Belinda was extremely helpful and knowledgeable about triathlon training and excited to be part of the challenge I’d set myself. One of the things that most impressed me was that she understood the pressures I faced as a mother of two young children who worked full-time. She designed a program for me around my work hours and family life that was both manageable and rewarding. It included indoor bike sessions, swim squads, run groups and triathlon-specific training weekends. In the past two years, I’ve trained with a range of athletes as part of the SMART Coaching team and I’ve thoroughly enjoyed the support and encouragement we’ve received along the way. It doesn’t matter if you are starting out in the sport of triathlon or training for an Ironman – everyone is made to feel welcome and a valued member of the team. My SMART journey has seen me improve my bike leg times considerably over the 2015 and 2016 Port Macquarie 70.3 events and complete my first half ironman distance event – the 2017 Tweed Enduro. I had the perfect race on the day despite challenging weather conditions and I can’t thank Belinda and Ben enough for having faith in me and helping me to tick off a goal that I had thought was beyond my capabilities. Belinda and Ben are both generous with their time and advice and genuinely care about their athletes. Their personalised service guides you along your chosen journey and gives you the push needed. I can’t recommend the SMART Coaching team highly enough.